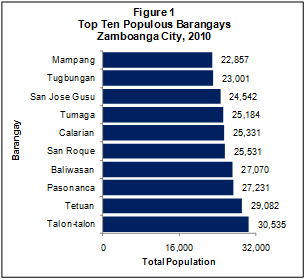 Based on the 2010 Census of Population and Housing (CPH), Zamboanga City, a highly urbanized city in the province of Zamboanga del Sur, posted a total population of 807,129 persons as of May 1, 2010. 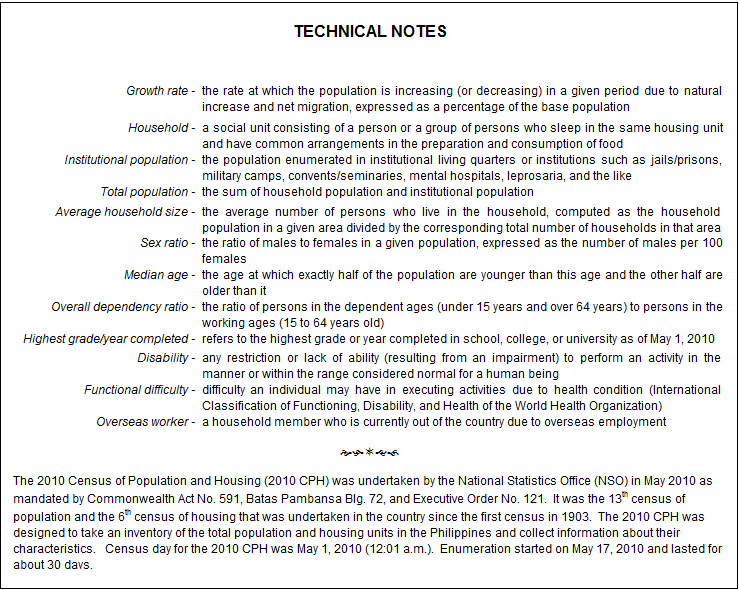 This is larger by 205,335 persons compared to its total population of 601,794 persons counted in the 2000 CPH. 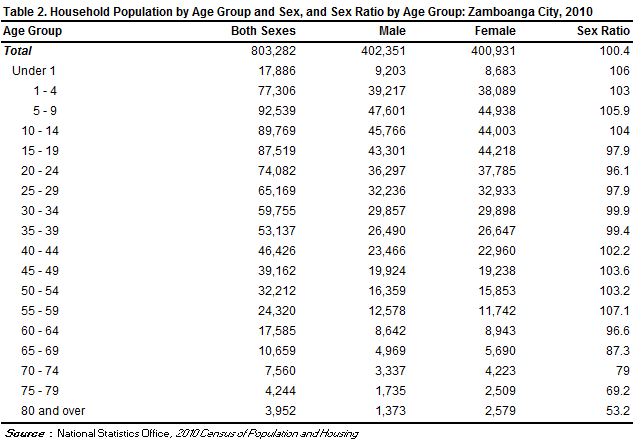 The increase in the population count from 2000 to 2010 translated to an average annual population growth rate (PGR) of 2.98 percent. 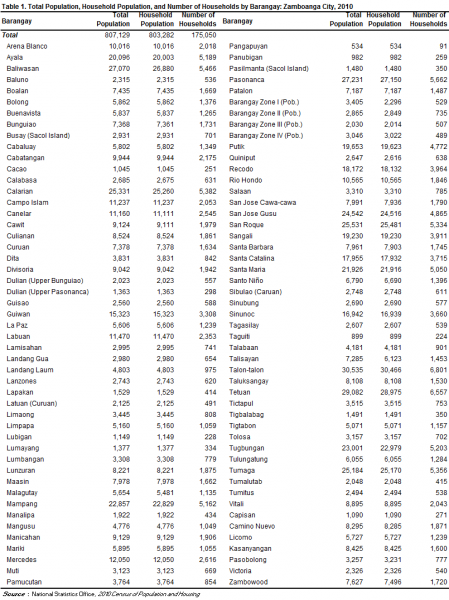 This is lower than the 3.12 percent annual PGR of the city between the census years 1990 and 2000. 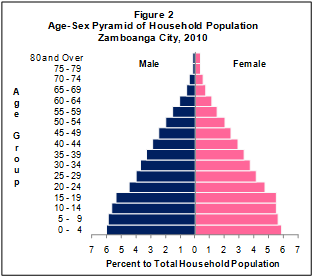 If the average annual PGR recorded at 2.98 percent during the period 2000 to 2010 continues, the population of Zamboanga City would double in 24 years. 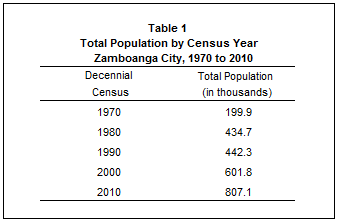 Forty years ago, the population of Zamboanga City was only 199,901 persons. This population size is one fourth of the population of the city in the 2010 CPH.